ARHA Charters are formed for the common purpose of providing a local, convenient place to show, learn, enjoy Ranch Horses, and develop new friendships. Ranch Horse shows are fun, affordable, full of competition, and encourage ideas of good horsemanship and sportsmanship. Click here to view our current Charters. We hope you will join us in promoting the true equine athlete by starting an ARHA Charter and hosting ARHA approved events in your area! Any group meeting the requirements and having interest in the American Ranch Horse Association may join by completing the Charter Application. Current Charters may submit a Charter Renewal Form. Get Involved With a Charter Near You! Are you interested fun family-oriented events? Do you enjoy well broke, reliable working horses? Would you like to share your love for the true equine athlete with others? 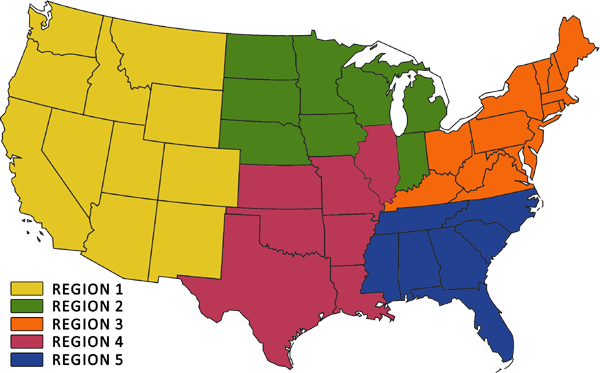 If so, YOU should consider starting a ARHA regional charter in your area. ARHA promotes the true western heritage of ranch horses through events, shows, and clinics while maintaining a national points and money record and awards program of national achievements, through an established set of standards and regulations. Come join us at ARHA in promoting the true equine athlete in a family oriented environment by starting an ARHA Charter and hosting ARHA approved events. ARHA Charters are local associations across the nation, that are representatives of the American Ranch Horse Association. These independent organizations are formed for the common purpose of providing a local, convenient place to show, learn, and enjoy Ranch Horses while developing new friendships. Ranch horse shows are fun, affordable, competitive, and encourage ideas of good horsemanship and sportsmanship. Any group meeting the requirements and having interest in the American Ranch Horse Association may register with ARHA by completing the Charter Application. Wherever a group of ranch horse enthusiasts is found, there is a potential for a new ARHA Charter. Having several ARHA charters in one state or area is encouraged by ARHA. While a single Charter may work in small states, many smaller Charters within a larger state make it easier for members to meet. Small Charters may also work together to sponsor large, state, or region-wide events. Forming a new Charter is not a monumental task. Breaking it down into a series of steps will allow steady development with minimal effort. Spread the word that you would like to start a Charter. Place notices in tack shops, feed stores, vet clinics, and at local shows. The sign should include your name, phone number, address, email address, and a quick description of the new charter. When your local efforts have been noticed, build on them. If funds permit, place classified ads in area newspapers and equine publications. Bear in mind that many publications welcome free editorial. Radio and television often offer reasonable advertising rates or try free community bulletin boards. Lists of newspapers, radio, and television stations for your region can be found in the Yellow Pages or on the Internet. These initial efforts should garner responses. Do not discourage any valuable inquiries! The job of a charter is to support ranch horse owners and encourage the interest and enthusiasm of future ARHA members. Describe why a new Charter should be formed. After discussing these ideas, ask for input. Ideas may be taken from the Charter members. Some of the most beneficial activities including holding clinics, trail rides, and ARHA Approved shows and events. Summarize the information obtained. This can be used for the charter’s Mission statement. To operate for pleasure and recreation for the benefit of our members. To promote the ability of the ranch horse as the all around versatile horse through shows and events. To exchange and promote knowledge of the ranch horse and ARHA. To provide a positive atmosphere and work towards personal growth. To work with other charters and organizations for the advancement of the equine industry. How can a charter serve all parts of the ranch horse community? What can It do to help breeders, exhibitors, and family owners who ride for fun? Depending upon the group’s composition, this will be important in deciding what path to take. These charters will provide ideas for activities and the preparations which are needed. If certain activities have a strong show of support, a committee can be formed at the introductory meeting. Action speaks! Committees will demonstrate initiative. To maintain enthusiasm after the introductory meeting, organizers should prepare a one-page review that includes the mission statement, the purpose, and the names of those in attendance. This letter should be sent to all who were present and to any other interested parties. If the introductory meeting has determined a need for a new charter, a date should be set for an organizational meeting. Choosing and official charter name. Determining goals and objectives according to the Mission Statement/Purpose. Hold annual election of officers including Charter Representative. All officers and board members must be current ARHA members in good standing. Provide ARHA with complete and current members by 4/1 of each year. Submit charter renewal by 2/1 of the current year. Provide ARHA with correct and accurate show results from all approved shows as required. Conduct all charter affairs in compliance with Charter By-Laws and ARHA Rule Book. Sponsor a minimum of two (2) ARHA approved events each year. There are no charters in this area.